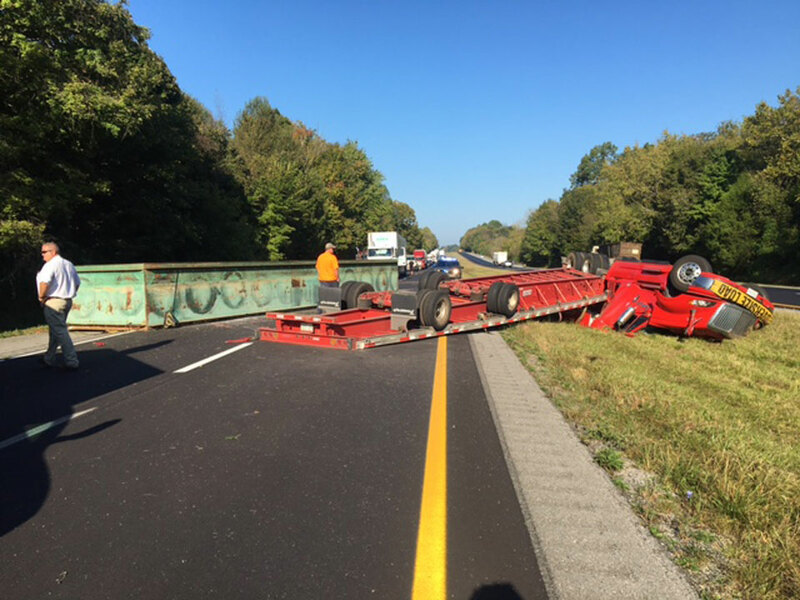 Due to an overturned tractor trailer in the east bound lane of the Louie B. Nunn Parkway at mile marker 52 in Adair County, the eastbound lane is closed for several hours. If you are traveling in this area today, you must take Hwy. E-80 to Russell Springs as an alternate route. The entrance to the eastbound lane of the Cumberland Parkway from Columbia is closed.